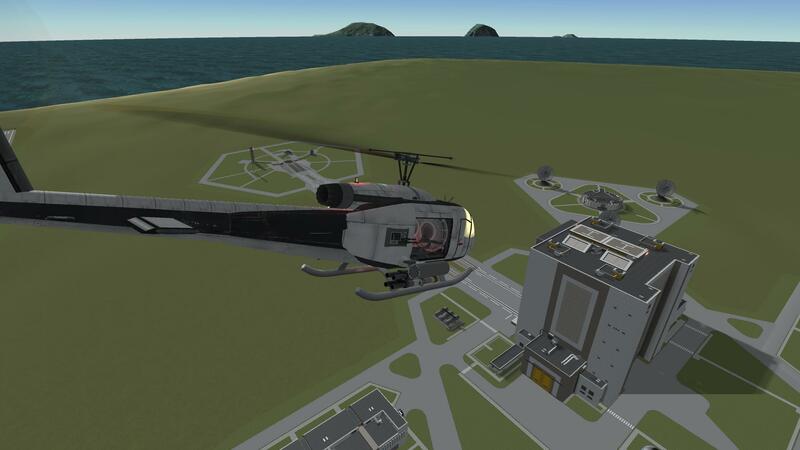 KerbalX - Bell UH-1H Iroquois "Huey"
The Bell UH-1 Iroquois (nicknamed Huey ) is a military helicopter powered by a single turboshaft engine, with two-blade main and tail rotors. The first member of the prolific Huey family, it was developed by Bell Helicopter to meet a United States Army’s 1952 requirement for a medical evacuation and utility helicopter, and first flew in 1956. The UH-1 was the first turbine-powered helicopter to enter production in 1960 for the United States military, and more than 16,000 have been built since. This was a very fun build for me, and i hope you guys Enjoy it as much as i did. 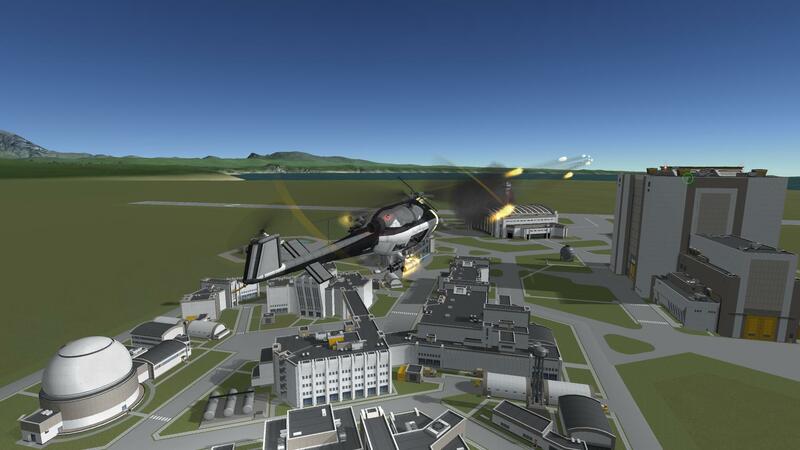 AG1 for the Turbine engine (use it ONLYwhen you need to stabalize flight) otherwise its just for looks. All you need is about 23% to 26% to lift off, 50% for high ALT gain, anything above that will put you out of control, UNLESS you use Atmo Autopilot mod, then you can do what ever you like with it. 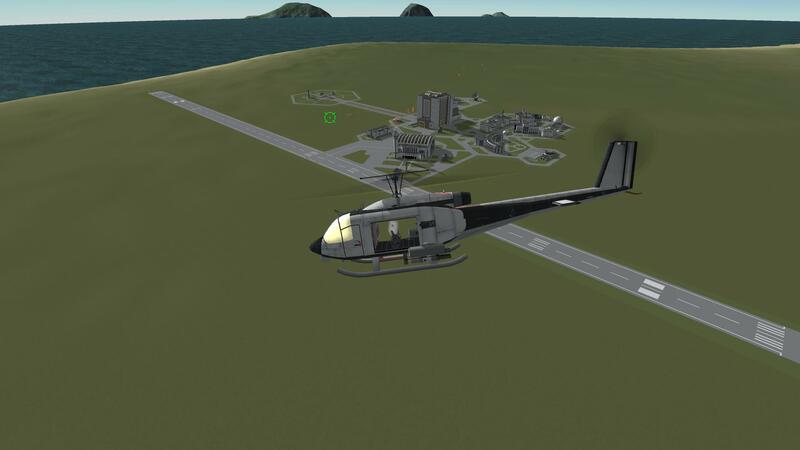 Might take you a few trys to get used to how it flys, but once you get the hang of it, well you know what to do :P (BLOW UP VAB)….Be careful landing it, remember hover it down in a nose up posture at about 20% Throtle, once you see the tail skid close to the ground easy off the Throtle and land, NO side to side motion or you will tip over. A mod aircraft called Bell UH-1H Iroquois Huey . Built with 89 of the finest parts, its root part is med2mPodA.